This community event was inspired by an article on Radical Social Change. 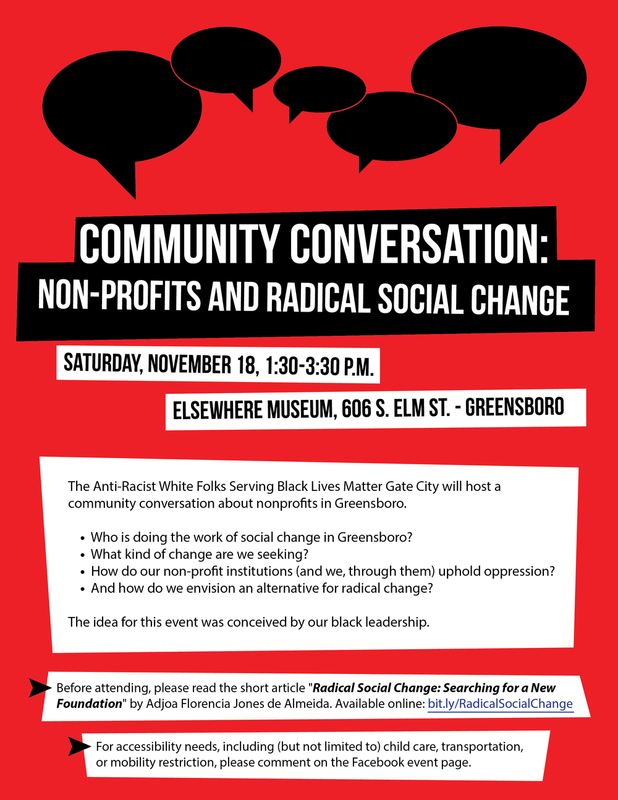 Members of the Anti-Racist White Folks in Service to Black Lives Matter sponsored a community discussion and needed to bring about awareness of the event. Challenges: To create a graphically striking event flyer that would capture the attention of recipients and passers-by.